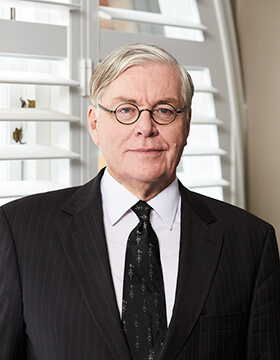 Phillip was admitted to practice as a barrister at the NSW Bar in 1988 and has held certification as a Mediator since 2010 and as an Arbitrator since 2016. Phillip practices in family, relationships law and the other areas identified. He has extensive experience in complex family and relationship financial disputes, property, trusts and parenting matters, spouse and child maintenance, Hague Convention and other child abduction cases. Phillip also has extensive experience in the preparation of cases, advice work and extensive court appearance experience at the interim/interlocutory, trial and appeals level. He is regularly involved in preparation and advising with respect to pre nuptial, ante-nuptial and post nuptial settlements and binding financial agreements. Phillip is regularly involved in all manner of dispute resolution including as negotiator, mediator and as counsel representing clients in such alternative dispute resolution. He was admitted to practice in 1975 and holds a Master of Laws from Sydney University (1988) and is admitted to practice in New Zealand, the ACT, NSW and as a practitioner of the Federal Courts.